Experian IdentityWorks, backed by giant credit bureau Experian, gives users the ability to secure themselves against a variety of potential ID theft threats. With an impressive monitoring and notification system, the company offers strong preventive measures and helps customers quickly recover if they become victims of fraud. 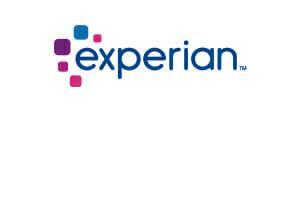 Sign up with Experian IdentityWorks today! IdentityWorks’ pricing model offers two separate tiers. The company’s Plus plan delivers an extensive range of alerts including credit monitoring, internet scans and dark web surveillance, as well as access to daily FICO scores (based on Experian data) and monthly score trackers. Plus plans cost $9.99 per month, or $99.99 per year. The Premium plan includes these features while adding 3-bureau credit monitoring and quarterly 3-bureau scores, alerts for Social Security Number traces and financial account takeover attempts, as well as address and court record change notifications. Premium plans are $19.99 per month, or $199.99 per year. 30-day free trials are available for both Plus and Premium. Customers are provided with a slew of different scans daily, including Experian credit monitoring for Plus members or 3-bureau monitoring for Premium. Alongside credit monitoring, IdentityWorks offers dark web surveillance, scans customers’ financial accounts, and tracks Social Security numbers to ensure they are not being used illicitly. Moreover, Premium members can take advantage of court record and booking monitoring, as well as non-credit loan scans. The platform issues real-time alerts for a variety of different scenarios. Customers are immediately notified if there is a suspicious or unusual addition to their credit reports, information is detected on dark web black market sites, or if accounts are taken over by a stranger. Furthermore, Premium members also receive notifications when their Social Security number is used suspiciously, alongside alerts when non-credit loans are applied for or their address is changed. The company provides all subscribed members, regardless of their plan, with up to $1 million in identity theft insurance to cover expenses and costs related to the identity restoration and resolution process. Alongside this benefit, customers have access to Experian’s CreditLock, which freezes their credit file instantly to prevent unauthorized access or credit inquiries. Experian also works with customers by providing them with dedicated resolution experts that guide them through the entire process to guarantee it is as quick and painless as possible. Experian provides all subscribers with access to its educational database, which includes a variety of insightful articles regarding credit and identity protection along with general advice on credit-related topics. In addition, customers can actively work to improve their credit with the company’s quarterly 3-bureau credit scores and monthly Experian score tracking. To round out the available offerings, Experian includes a FICO score simulator with their plans, letting customers determine how financial decisions could impact their future ability to access credit. Members can take their IdentityWorks dashboard with them anywhere they go, thanks to the company’s mobile apps for iOS and Android. The apps allow users to manage their settings and view their monitoring progress directly from their smartphones. Getting started with Experian IdentityWorks is generally a quick process. The company’s initial application collects vital customer information, and then immediately starts scanning the web for evidence of fraud or identity theft. Users simply input the information they wish to have scanned, including Social Security numbers and financial accounts. They are then granted full access to all mobile features as soon as they log in to their accounts for the first time. IdentityWorks subscribers receive support from Experian, with a toll-free number reachable from Monday through Friday between 6:00 AM and 6:00 PM Pacific Time, or between 8:00 AM and 5:00 PM on Saturdays and Sundays. Apart from the toll-free number, users can also email the company with inquiries related to the services. Support staffers are certified through the Fair Credit Reporting Act. With a strong focus on educational resources and empowering members, IdentityWorks is a fantastic way for customers to take back control of their identity and actively work to improve their finances. Its many scans and notifications make it a proactive solution, giving customers time to act before fraud and identity theft become serious problems.